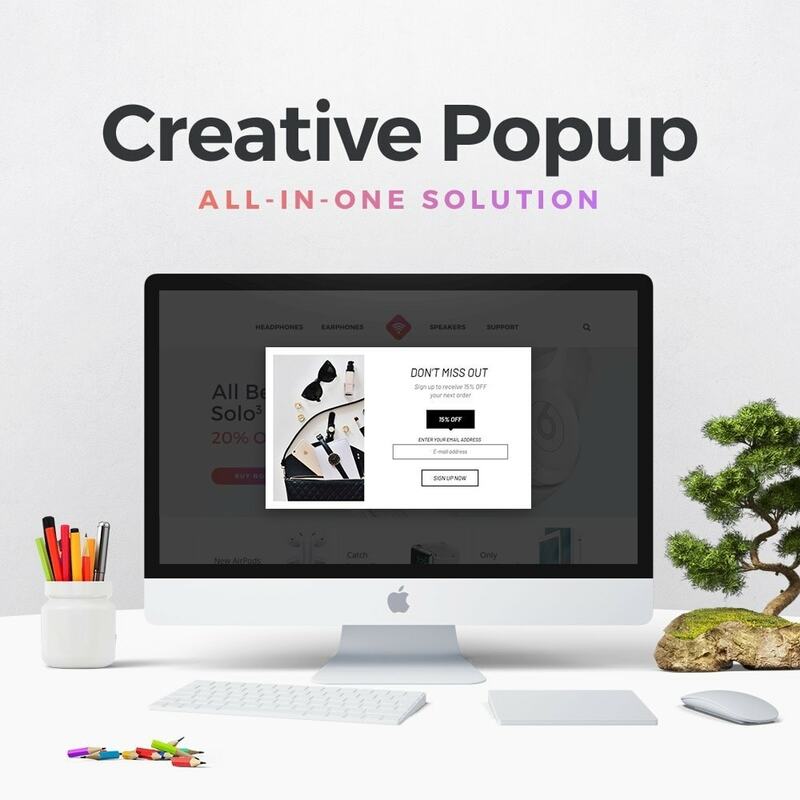 Creative Popup is the all-in-one PrestaShop Popup module that transforms your website into a lead generation super-store. Build your email list, bigger, faster and more targeted than ever before. You can create beautiful popups in minutes & start converting your website visitors into subscribers, social followers & customers. Exit detection: The exit intent trigger tracks your visitor's mouse movement, and if the visitor appears to be leaving or exiting your site, you can use that as a trigger for your popup. This is very useful for capturing people's information before they abandon their cart or leave your site. Timer: The time trigger displays your popup, based on how long a visitor has been on your site. It could show immediately when a visitor lands, 10 seconds later, or longer depending on how much content you want a visitor to read before you show them your message. Inactivity/Idle trigger: It monitors user behavior to detect when they have stopped all activity on your site, which usually means they’re about to abandon their carts. This lack of action triggers a popup to reactivate that user. For example a special offer or a sign up. Open by click: You can display a popup when a visitor clicks on a specific part of your page - a button, box, link, or banner. CSS classes, IDs, and any type of value from an HTML element can be used for triggering. Scroll trigger: Show your popup once a visitor has scrolled down your page a certain percentage or pixel. This is a great way to ensure that your visitor is interested before asking them to subscribe to your newsletter or following in social media. after a video was played, or a popup with more pages has reached the end. When you create a new onsite retargeting popup, you can control how long it runs. In addition, there may be times when your popup should be scheduled - for these times, you can edit the start and end dates. Creative Popup includes powerful audience targeting capabilities that make it easy to serve relevant messages to key segments of your audience. With our innovative drag and drop editor, you are not locked to fixed layouts. 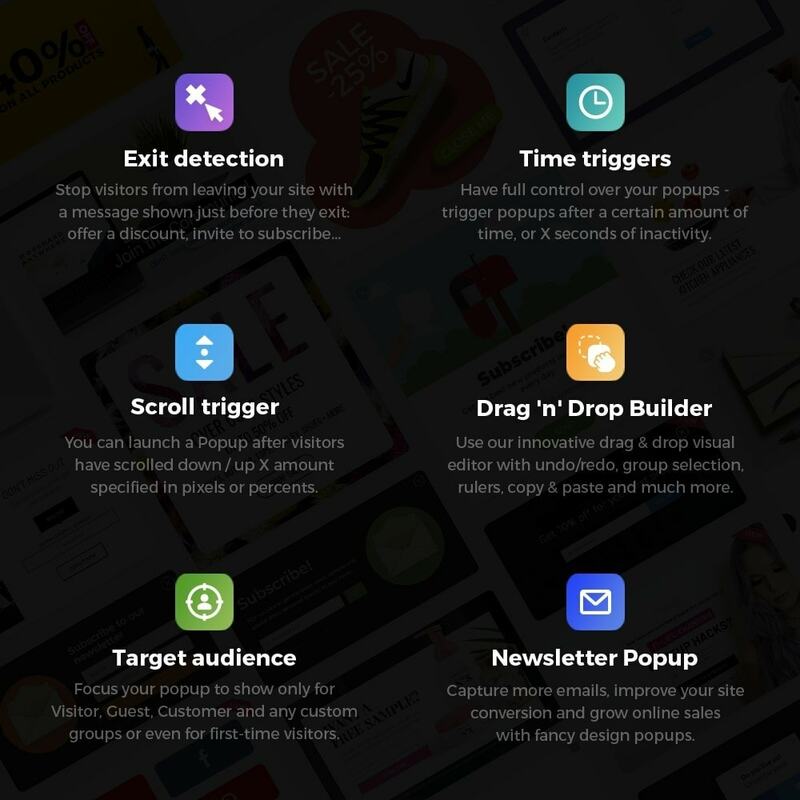 You can freely move elements around and customize the looks of your popup. Everything can be configured without any HTML or CSS knowledge. You can create a custom popup from the scratch in a few minutes. 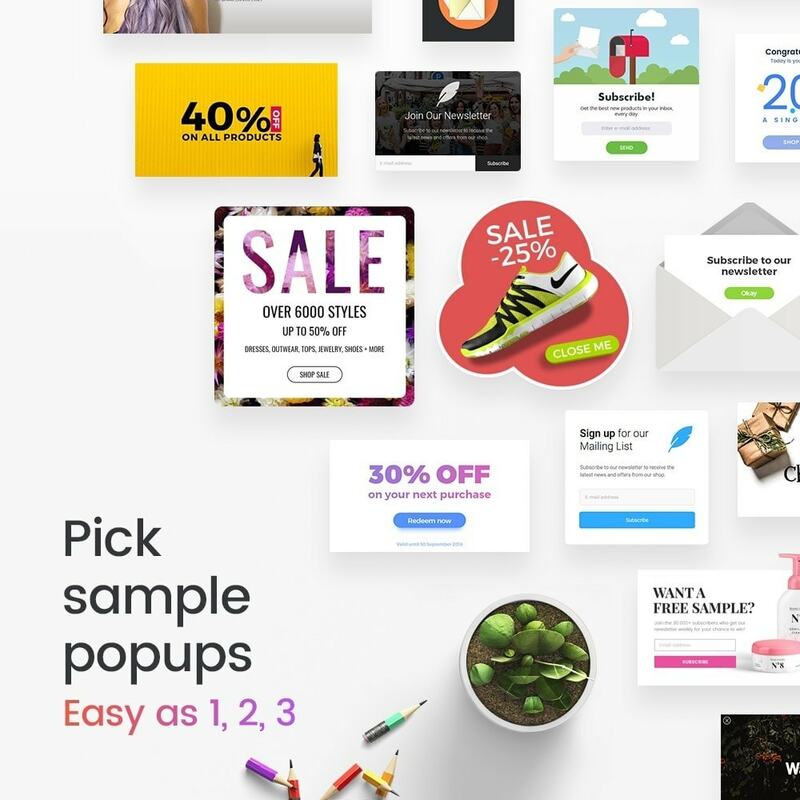 Creative Popup comes with a set of built-in templates designed for desktop and mobile so you can get started quickly with eye-catching popups that engage your visitors, no matter what platform they're on. I was looking for a solution to have a nice, easily manageable way of showing discounts, or new arrival products on my webshop frontend. Honestly, I was tired of the custom solutions, to have them hard-coded into the template, as I'm not a developer, but finally I have found this module to mitigate this issue, and I'm so happy with that. Every option is clear enough, and they already have ideas implemented which are immeasurably useful and I never thought for. So long story short, I'm very satisfied, and I guess e-retailers should keen on this module. Simply wow! It was an impulse purchase of this module for me and I was attracted by templates which you can use for pop-ups. And I have no regrets of such purchase at all! Very easy to install, very easy to edit pop-up. Totally recommend this module!